When you’re working out in the oilfields, you often need parts that simply can’t be found on the shelf. Whether you’re building your machinery from the ground up or need replacement parts for repairs, the necessity for custom metalwork is high. At Metal Fab Products Inc., we understand the needs of oilfields and oil companies. We are proud to serve the many oil companies that call Odessa, TX and Midland, TX home. With our extensive range of metal fabrication and oilfield welding capabilities, we can easily fulfill your orders and requests. 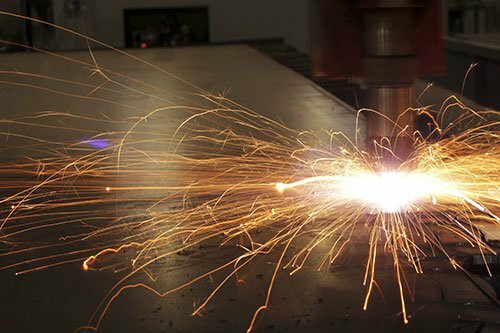 We have a wide range of machines as well as water jet and laser cutting abilities. Combine this with the expertise of our talented team, and we can fulfill even the most difficult orders. We can handle all kinds of fabrications customized to fit your needs. Whether you need a single custom-fabricated part or a slew of them, we can deliver! We invite you to get in touch with us and tell us about your project. We would be pleased to explain how we can fulfill your order and give you a free metal fabrication estimate. Give us a call today to get started for service in Pecos, Monahans, Alpine and surrounding areas.